I don't think I've ever seen the custom roof in any of the versions I've had. The custom roof is done by cutting the stock roof (lines on the inside of the roof) and then adding a trim band to the rear portion. The trim piece is on one of the plated trees. 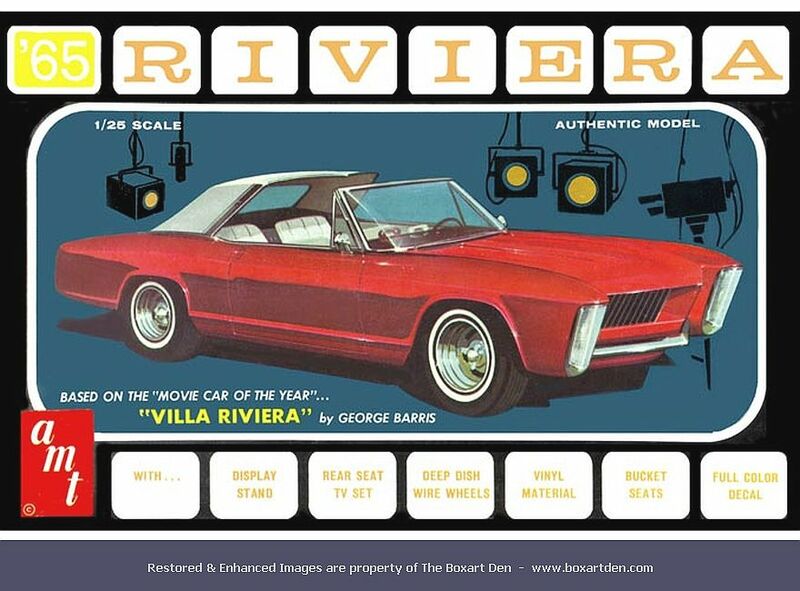 The kit doesn't build a 100% accurate Villa Riviera: the 1:1 was a '63, it had extended front fenders and hood, and rounded wheel openings. It also had taillights (Rambler turn signals installed upside down) that didn't make it into the kit. I think the RC@ version I have at home has the scribe on the bottom of the roof, so at least you could cut it yourself. One of the recent Car Culture mags had a detailed story on VR recently--within the last six months. I think I posted about it up in the General section at the time. There's more to the Villa Riviera than just using the kit parts. The front and rear fenders need to be lengthened, the hood lengthened at the center peak, chrome inserts made for the hood and taillights scratch built. The front and rear fenders were lengthened by different amounts, but I don't remember by how much. These mods are needed on top of the aforementioned reshaping and flaring the wheel wells. For the model that I had in the Oakland Roadster Show diorama, I used two kits and referred to a magazine called 'Super Customs and Hot Rods" from the publishers of "Collectible Automobile. It was only out for 2 or 3 issues in the mid 1980s. The car was painted candy burgundy at the time. 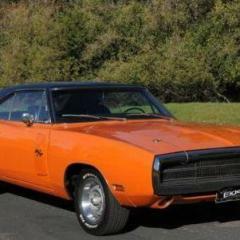 Someone then bought it and restored it to candy red with all the Barris stuff that came along with the car. I recently saw a picture of it in black and with a new owner. I hope the Barris parts were once again retained when they were removed. Stevens also has the old ‘34 Ford pick up as AMT and a ‘77 Ford van listed. Two more I don't need. I have previous releases of both kits. If the 34 has the Original hubcaps retooled and original box art and decals I'm in. 34? 34 what? How did that slip in here? Oh! Okay. The '34 Ford pickup. Joe above threw that one in here. The original thread was only talking about AMT's '65 Riviera and Piranha drag car. So I was surprised to see something brought up about a "34." Has Round 2 announced a reissue of their '34 Ford pickup? I'm waiting for that to come back in it's original AMT form. That one is high on my list. For I don't have that one as an AMT or Lindberg kit. I've passed on the Lindberg boxed ones. It just seemed like sacrilege to have offered that model to us in a Lindberg box. 34? 34 what? How did slip in here? Oh! Okay. The '34 Ford pickup. Joe above threw that one in here. The original thread was only talking about AMT's '65 Riviera and Piranha drag car. So I was surprised to see something brought up about a "34." It's mentioned in the post by ss2000 above as being on Stevens International's list. Yea, Joe, "ss2000." But why? I'm okay with this kit being brought up. At first I just could not figure how it came up in a discussion about AMT's '65 Riv and Piranha drag kit? Dave's comment to me, threw me for a loop when he mentioned a "34" and quoted my posting on this subject. And I didn't refer to a 34 in my posting. 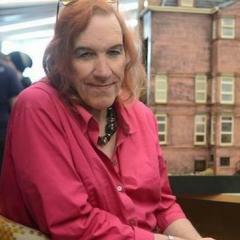 It just confused me a bit at first. The title of the thread is New Round 2 AMT 2018, I figured it fit here. Sorry for the confusion. It fits here. There is no confusion. Scott, grab up a Lindberg '34 or two. Nice kits, beautiful Chrome Plating, excellent molding. The Decals are mostly bland, and the Armstrong tires are lacking in detail, but it is a great kit. Consider also, that if Lindberg had not rescued the tooling, it might have gotten lost forever. I for one am Darned Glad that Lindberg was able to produce and sell me the First Car Kit I ever owned. (my Dad built it) I have about 6 of them in the stash. No need for an apology. You did nothing wrong. Actually, I want to know more about the two kits you brought up. You say the info you got was from Stevens? Is the '34 the old AMT '34 Ford pickup? And what version of the '77 Ford van are they talking about? And don't ever feel bad about confusing me. It happens all of the time. If I don't understand something I'll ask for clarification. Just don't be offended if and when I do. You say the info you got was from Stevens? Is the '34 the old AMT '34 Ford pickup? And what version of the '77 Ford van are they talking about? The Econoline was out a few years ago as the Vanpire van, I'd assume this version will be the same but with a few different options like the wheels? 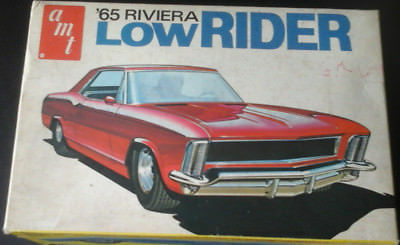 It will be good to see the '65 Riviera again, as it's one of the few '60s AMT kits I've never tackled (I do have a '64 promo). Love those wire wheels! Did only the first issue of the kit have separate red taillight lenses? Wish they'd fix that, but I'm sure they won't bother. I think the Red Clear on the Rivi left sometime in the "bad old days" of the Penny Pinching 1970's. They disappeared from many AMT kits then. 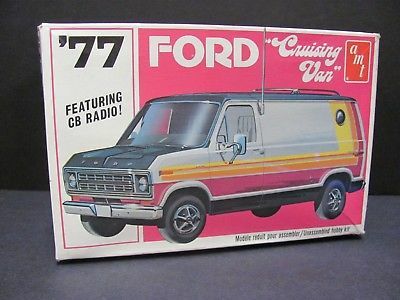 The 77 Ford van holds little appeal, but that could change when I see what finally ends up in the box. That happened to me on the recent '65 Lincoln Convertible. The '34 Has been mentioned a long time in the past in some context on the Round2 "Collector Model" blog. It will be nice to see it back. I'd really like to see AMT resurrect the legendary '66 Skylark kit.
. Actually, I want to know more about the two kits you brought up. You say the info you got was from Stevens? Is the '34 the old AMT '34 Ford pickup? And what version of the '77 Ford van are they talking about? We all want to know more. There has been no formal announcement from Round2 on either the 34 pickup or the 77 van. It's only thought to be coming because a retailer put it on their website as a future release. 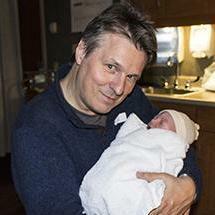 So, there are no details yet.